Gus Malzahn and Kevin Sumlin got their Southeastern Conference head coaching tenures off to blazing starts. They’re both facing a different kind of heat now. Auburn’s Malzahn and Texas A&M’s Sumlin enter this season on likely needing to show some improvement to ensure their job security. Mississippi’s Hugh Freeze could find his job on the line for a different reason, depending on the outcome of an NCAA investigation into his program . Texas A&M followed a familiar trajectory last season, starting fast and then slumping in November. The Aggies won their first six games and rose to No. 6 in the rankings before falling to 8-5 for the third straight season. 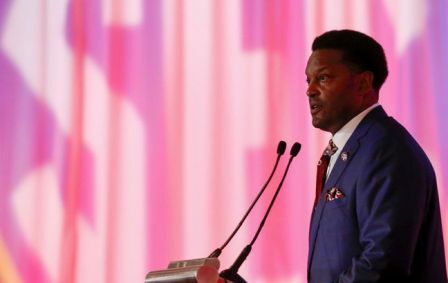 His boss, athletic director Scott Woodward, has already made his mandate public leading up to Sumlin’s sixth season. Sumlin said he’d keep conversations between himself and Woodward private. Aggies receiver Christian Kirk said talk about Sumlin’s job security “just kind of goes out the window” for players. Other coaches are facing some job security questions, though not with the urgency facing Malzahn, Sumlin and perhaps Freeze have to deal with. The scrutiny is increasing for Tennessee’s Butch Jones and Bret Bielema of Arkansas, even if their jobs probably aren’t on the line going into this season. If Freeze’s job comes into jeopardy any time soon, it won’t be because of on-the-field performance. The Rebels were 10-3 two years ago and are the only SEC team to beat Alabama over the past three seasons, doing it twice. The NCAA case involves alleged academic, booster, and recruiting misconduct. Ole Miss has disputed some of the NCAA’s charges, including lack of institutional control and failure to monitor by Freeze. Both Sumlin and Malzahn have both found themselves trying to reclaim the magic of their first years, when they had dual-threat quarterbacks. Both have since been desperately seeking another QB to run their up-tempo offenses nearly as well. Redshirt freshman Johnny Manziel helped the Aggies to an 11-2 season in 2012, their first season in the SEC. He became the first freshman to win the Heisman Trophy. Since then, Texas A&M has routinely gotten off to fast starts only to struggle late. At Auburn, Malzahn debuted a year later with a junior college transfer Nick Marshall. The Tigers won an SEC title and made it to the national championship game while leading the nation in rushing. They’ve lost 16 games in the three seasons since and are 11-13 in the league. Even more damaging, Auburn is 0-6 the past three seasons against top rivals Georgia and Alabama. “To me, Sumlin is a little bit of an outlier,” SEC Network analyst and talk radio host Paul Finebaum said. “You can’t do this but if you take Johnny Manziel off of his resume, he’s got a pretty average record at A&M. He was really good at Houston. Finebaum isn’t sure Malzahn would have survived last season if Auburn hadn’t edged out LSU, which had the apparent game-winning touchdown waved off because time had run out. Instead, LSU fired coach Les Miles the next day in the season’s lone SEC head coaching change.